Analysis: The Bears will instead stick with Chris Blewitt and Redford Jones as the two kickers on their roster, despite the fact neither has any NFL experience. Koo will continue to look for opportunities after the collapse of the AAF. He hasn't seen NFL action since being released by the Chargers in October 2017. Analysis: The Bears currently have two kickers -- Redford Jones and Chris Blewitt -- under contract, but neither have played in the NFL. 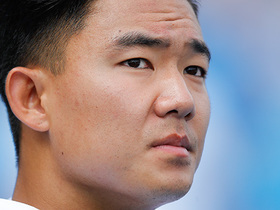 Koo last played in the NFL in 2017 with the Chargers, making three of six field goals and all nine extra points. Nick Rose will also participate in the tryout. 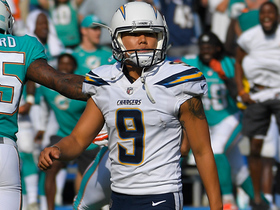 NFL Network Insider Ian Rapoport reports the latest on the Los Angeles Chargers' kicker situation. 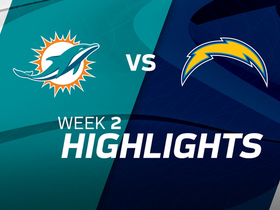 The Miami Dolphins faced the Los Angeles Chargers in Week 2 of the 2017 NFL season. 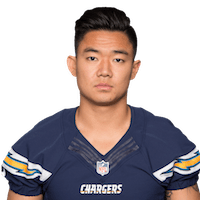 Los Angeles Chargers kicker Younghoe Koo misses the potential game-winning 44-yard field goal. 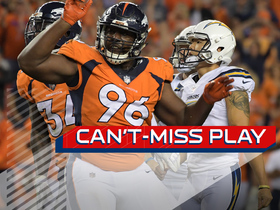 Denver Broncos defensive end Shelby Harris blocks the game-tying field goal attempt to clinch the game for the Broncos. 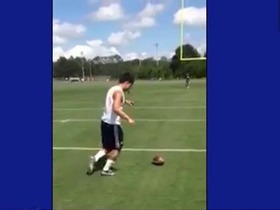 The "Good Morning Football" crew talks about Chargers rookie kicker Younghoe Koo.